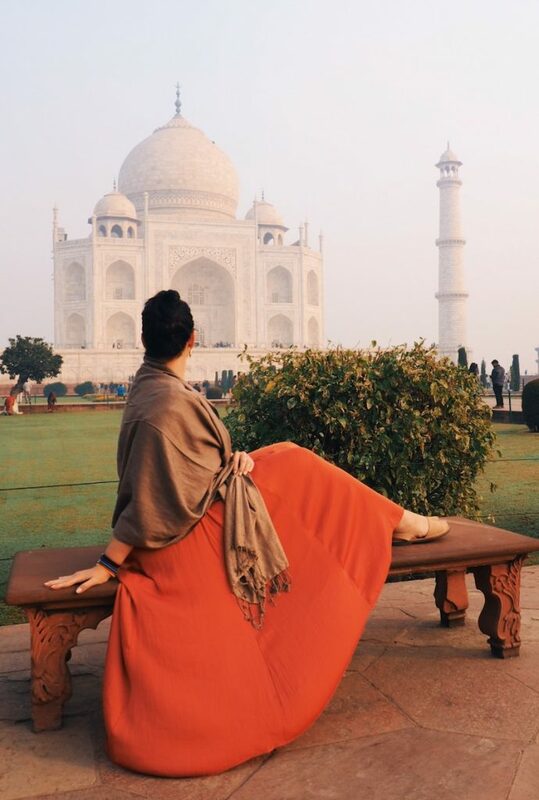 Like almost every traveller on the planet, visiting the Taj Mahal has long been on my bucket list. 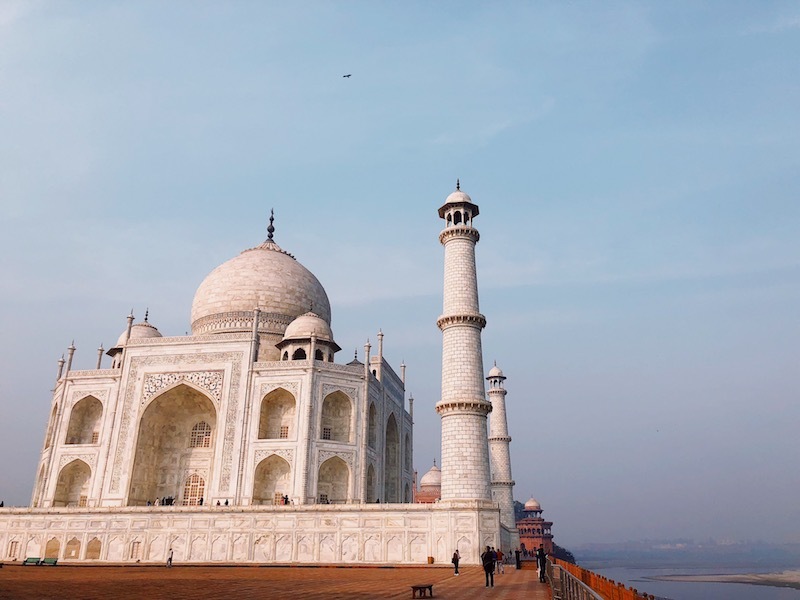 So when I was lucky enough to be invited on a blog trip with the Taj on the itinerary, I keenly extended my stay to fit in 2 visits – this was something I didn’t want to be over in the blink of an eye. 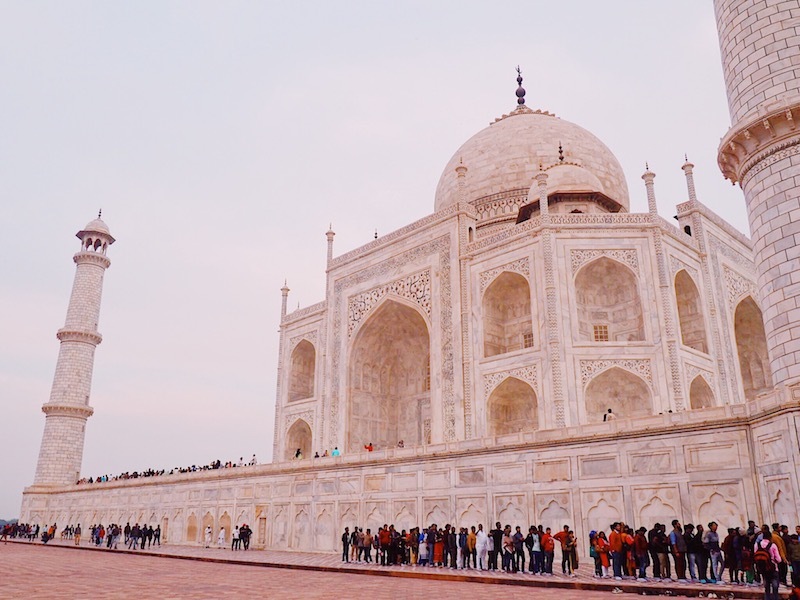 Not only did visiting the Taj Mahal live up to my expectations – it far exceeded them. As I approached the ornate gates and got ready for my first glimpse of this world-famous monument I was giddy, almost too giddy to think straight. The words of my guide built up the moment and when I finally walked in, like everyone standing around me, I was left speechless. 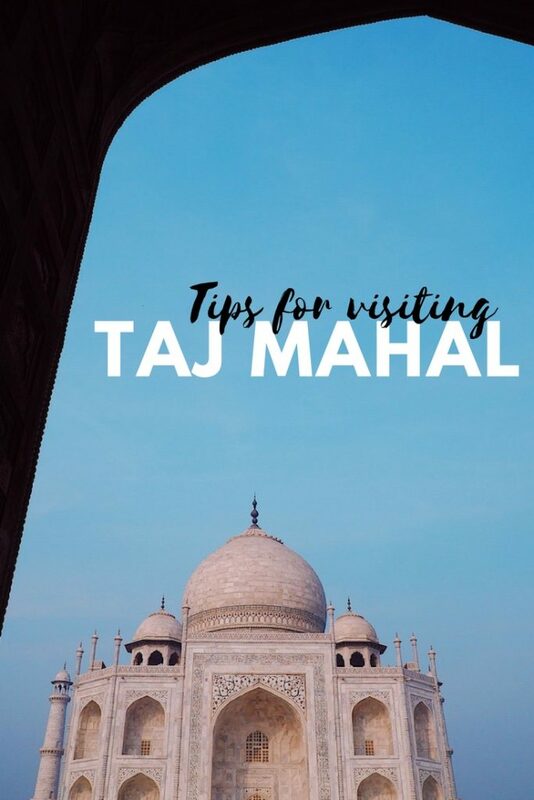 For anyone planning a trip to the Taj Mahal I’ve put together some tips to prepare you for the visit, including what I learned about capturing the moment. There are 3 entrances (the East, West and Southern Gate) where you can buy tickets, foreigners are charged 1000Rs for entry. You can save time by booking tickets online – http://asimustsee.nic.in is the only official site. Bring your passport as you may be required to prove you are from overseas. Large bags and certain items such as tripods, food, chewing gum and marker pens are not permitted. Find a list of do’s and don’ts here. Your bags will be scanned and your body gets a pat down – men and women have separate lines. You will be given shoe covers (and a bottle of water) with your entry ticket that you must hold onto as you’ll need them to enter the tomb. Bathrooms are located either side of the main gate. Locals have to pay but tourists don’t. Bring your own loo roll. 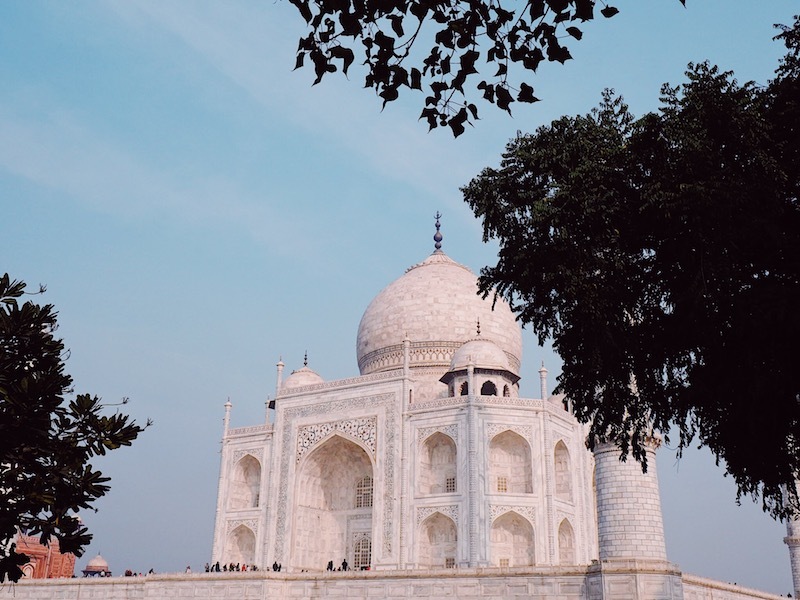 The Taj Mahal opens from sunrise to sunset so exact timings change throughout the year. I visited both in the evening (after 4pm) and in the morning (circa 8am) and it was remarkably quieter in the morning. There were a lot more local visitors in the afternoon – which add a wonderful colourful edge to your photos – but made it harder to get the more iconic shots as everyone crowds around the centre lines. Beware! The Taj Mahal is closed every Friday for prayers – the mosque next to the main mausoleum is still active. There is no time limit on how long you stay at the Taj within the normal operating hours. On both visits the queues (to enter the complex and to enter the tomb) moved quite quickly for international tourists. During my afternoon visit the tomb itself was intimidatingly busy. There are separate lines for tourists and locals, which merge into one at the entrance, and it was so busy inside there were guards blowing whistles to keep people moving. It was dark, noisy and not quite the experience I was expecting in a mausoleum! 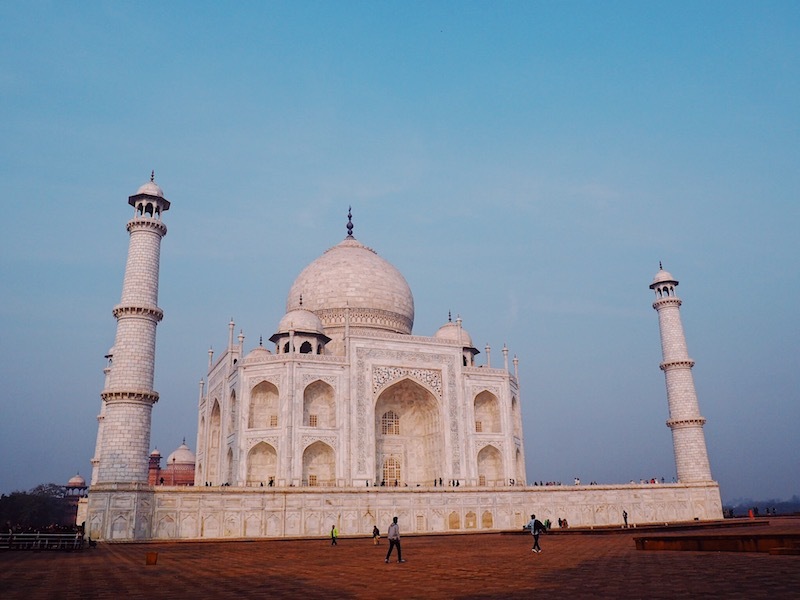 It’s easy to get a good photo of the Taj Mahal as it looks beautiful from every angle. Make sure you explore the gardens, observe the marble in-lay up close and walk around the whole mausoleum to truly appreciate its beauty. Also don’t forget to turn around, all eyes tend to be on the tomb itself but the Great Gate, the Mosque and the Assembly Hall are stunning too. If you want the most iconic shots – ie looking straight down the middle of the water features or on the ‘Princess Diana’ bench – you will either need lots of patience or a pushy guide to clear the way for you! As it was quieter on my morning visit my blogger buds and I simply waited for the right opportunity but during busier times you may have to get a bit bolshie. There are ‘professional’ photographers on hand to take shots of couples and hiring one of them is a sure-fire way to hop to the front of the queue as they have their own honour system among them. I just got my guide to take my shots for me but the strained look on my face is because there was a group of Europeans having an argument about who was next just behind him. Note that you are not allowed to take photos inside the main mausoleum. 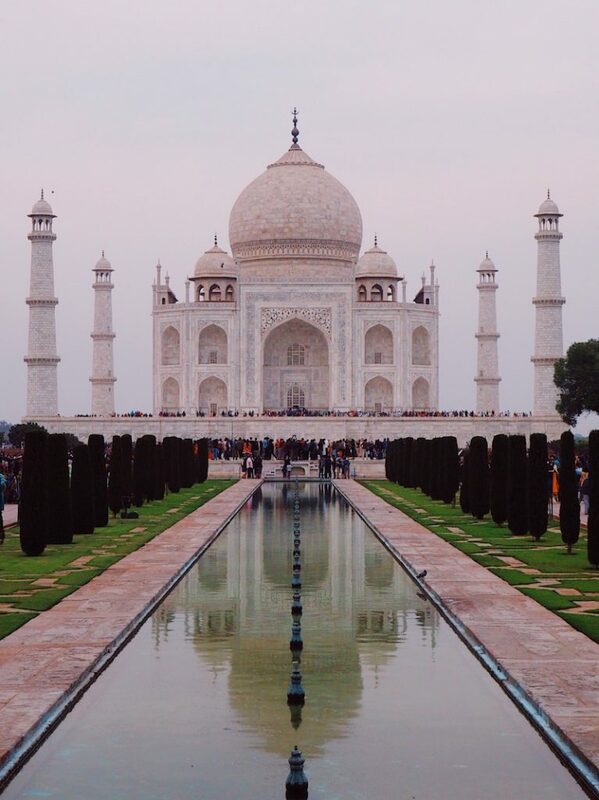 The question I’ve been asked the most is how to get photos of the Taj Mahal with no one in them (like you see all the time on Instagram). Aside from a bit of photographic trickery I’ve got a few tips for getting pics without a million heads in them. Head to the Mosque (on the left when facing the Taj) or the matching Assembly Hall on the right for a side angle of the Taj with less crowds in it. 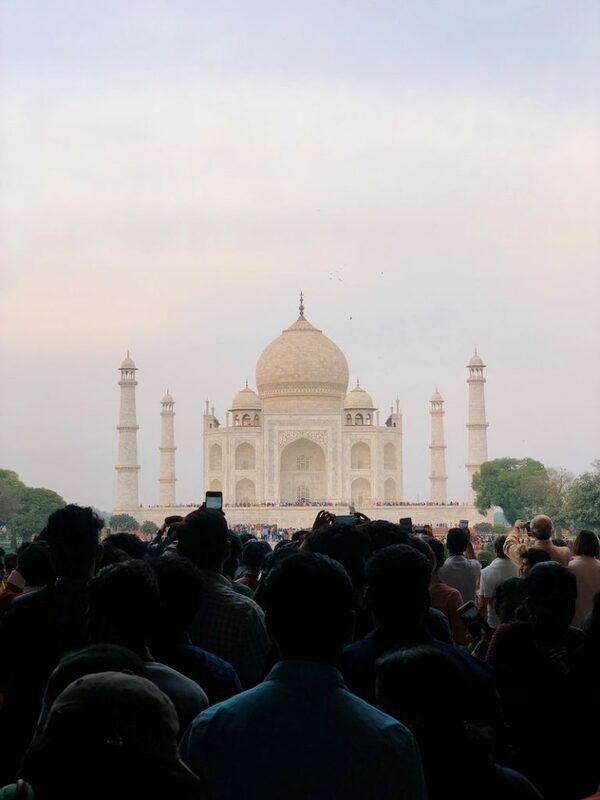 With the right angle, you can frame the Taj within the entryway and wait patiently for the people in the background to clear. 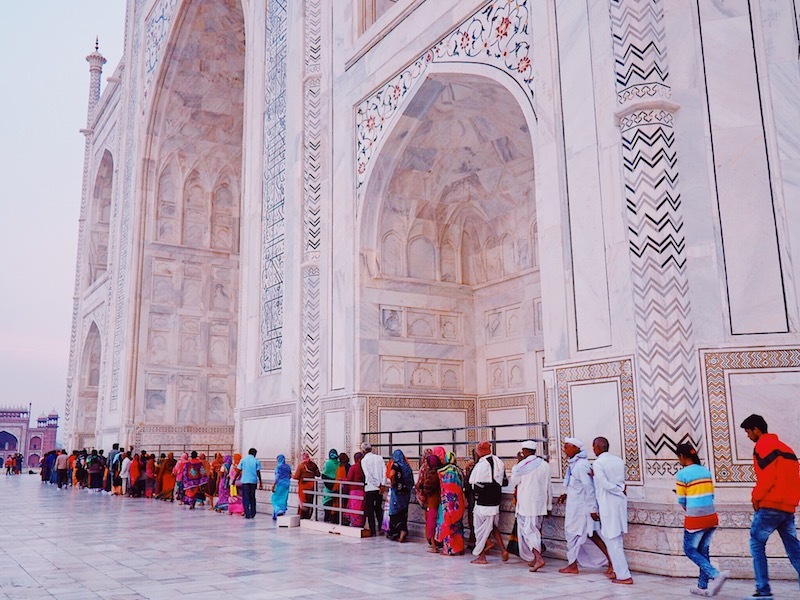 Likewise, there are archways near the bathrooms (by the main gate) that offer a unique frame for the Taj and no heads in the foreground. 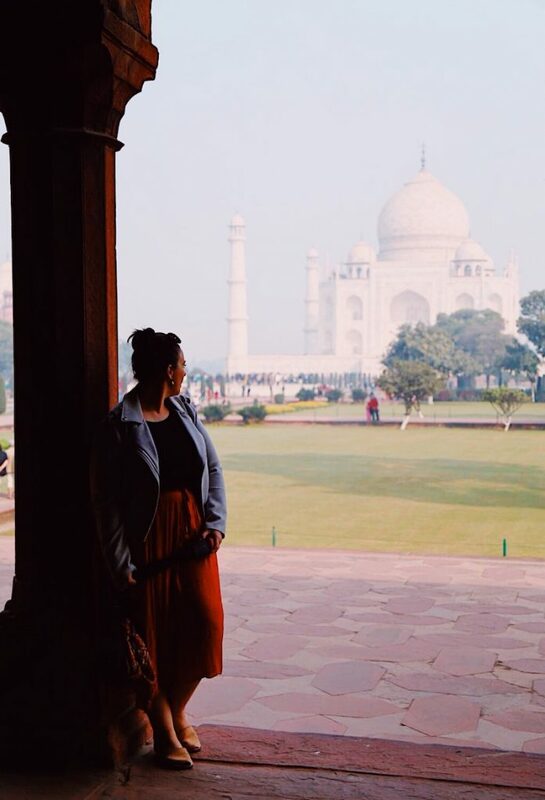 You can find some great views of the Taj Mahal outside of the grounds too. 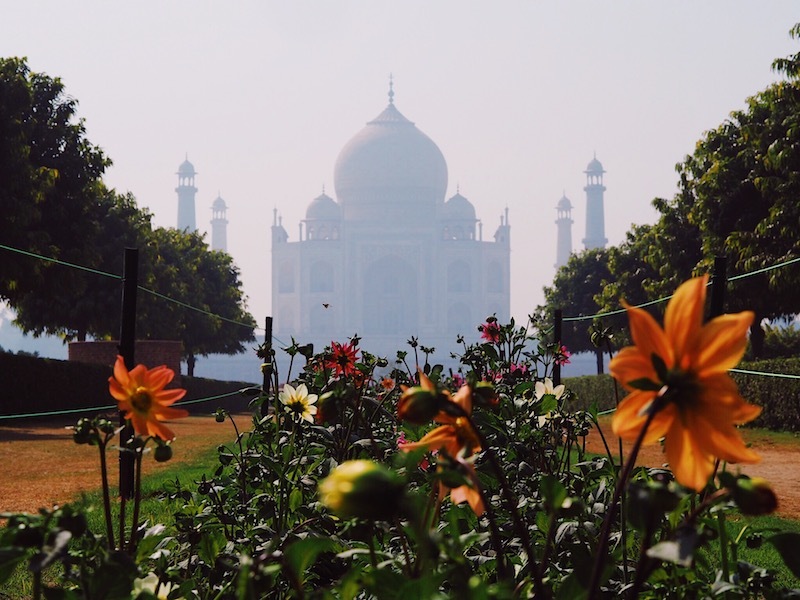 To capture the monument in a floral frame head to Mehtab Bagh (or Moonlight Gardens) on the other side of the Yamuna River. The gardens are undergoing some renovations works that should make them even prettier over the coming months. This vantage point is most popular at sunset when the light reflects in the water. Note: It is illegal to take boat rides on the river, so I wouldn’t recommend risking it, even if you’ve seen pretty pictures from a canoe on Insta! 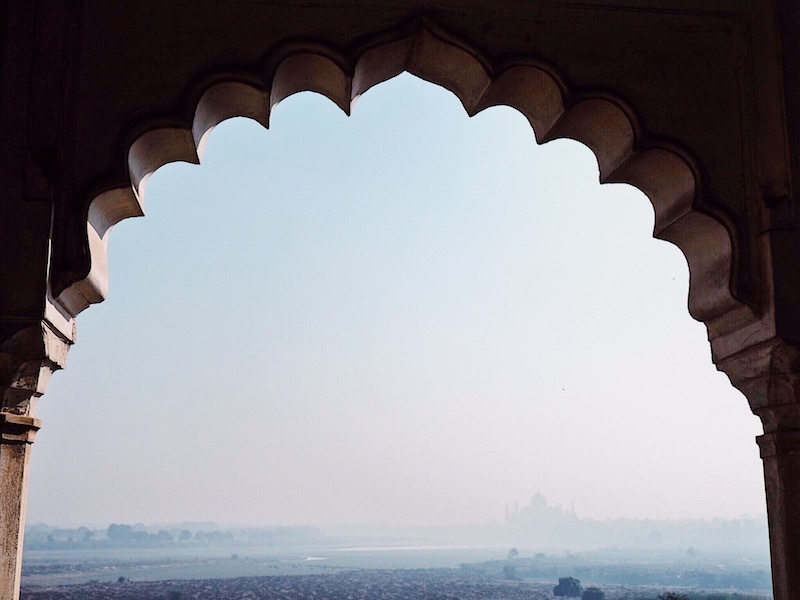 The Agra Fort, where the Shah who commissioned the Taj for his departed wife spent 8 years under house arrest, has stunning views of the Taj Mahal and surrounding landscape. (On clear days anyway!). A few restaurants and hotels in Agra boast Taj Mahal views from their rooftops. Some of them require a little squinting but it’s interesting to capture the monument within the context of the city. 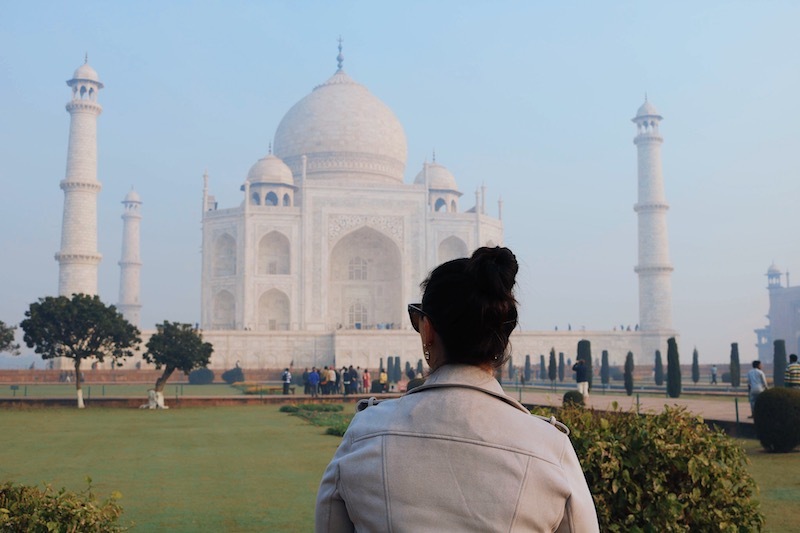 I visited the Taj Mahal on the Agra Independent Adventure with G Adventures and as an excursion from luxury train the Maharajas’ Express. Both times I went with an authorised guide, which I would recommend doing for your first visit as they can help you navigate lines, explain the architecture and bring the love story behind the monument to life. 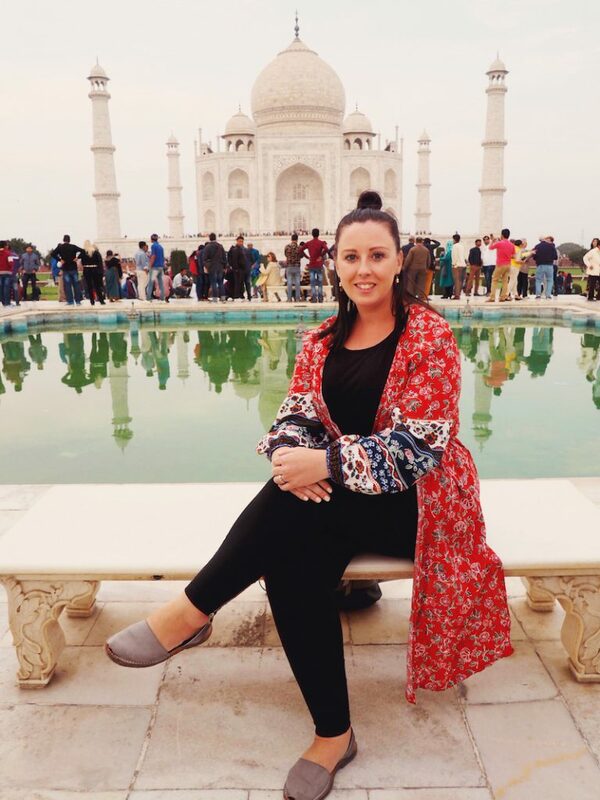 Find all of my India posts here. I’m following almost the same itinerary as you in a couple of months, so keep the tips coming. Great pics btw. You’re welcome, hope you get to put the tips to use soon! 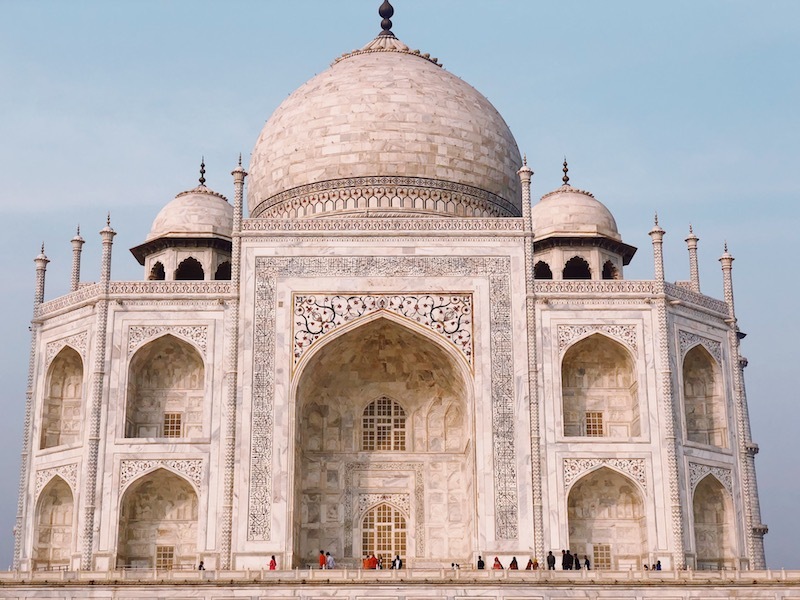 Visiting Taj Mahal has been on my bucket list for ages – that building is just beyond spectacular. When I eventually go visit I’ll for sure use your photo tips. Beautiful shots! 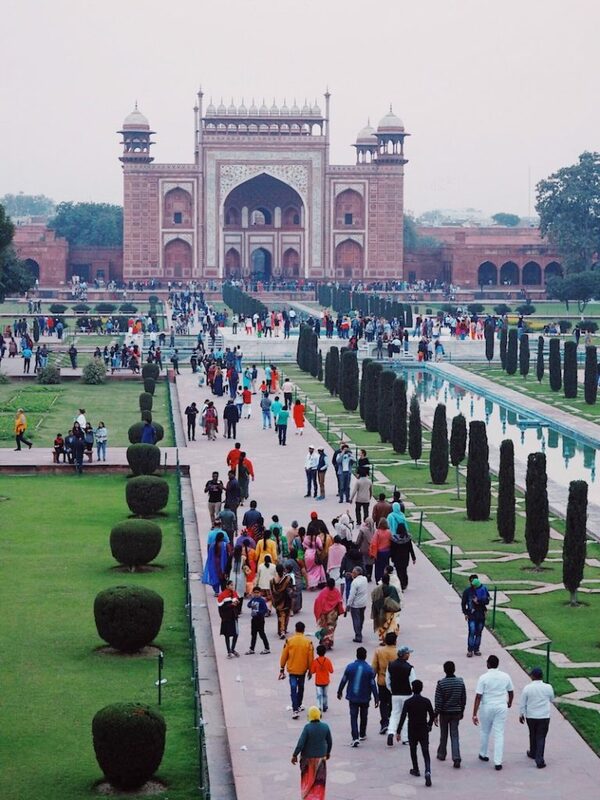 Hope to re-visit Agra some day. 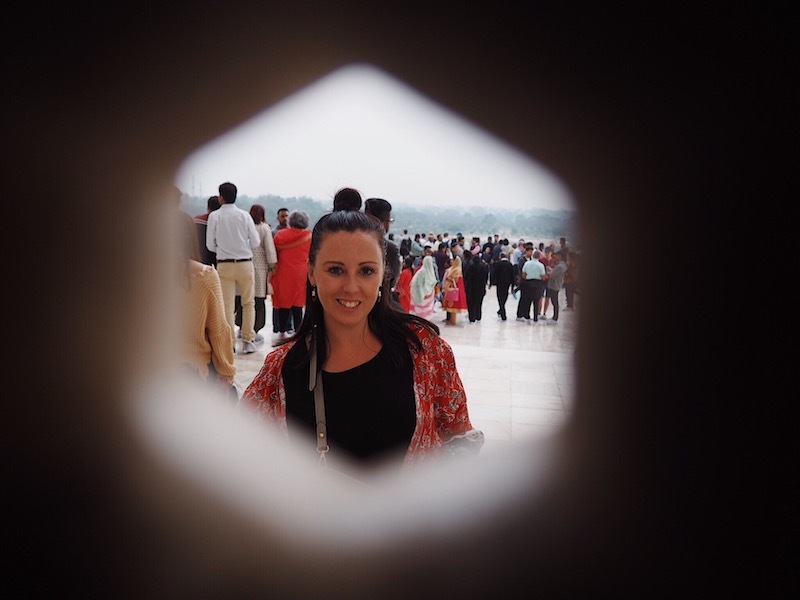 I loved the Agra Fort and ‘Baby Taj’ too – there’s def a lot to take in! aw so the doyoutravel and gypsealust photos on the boat are illegal shots??? As far as I’m aware, yes. 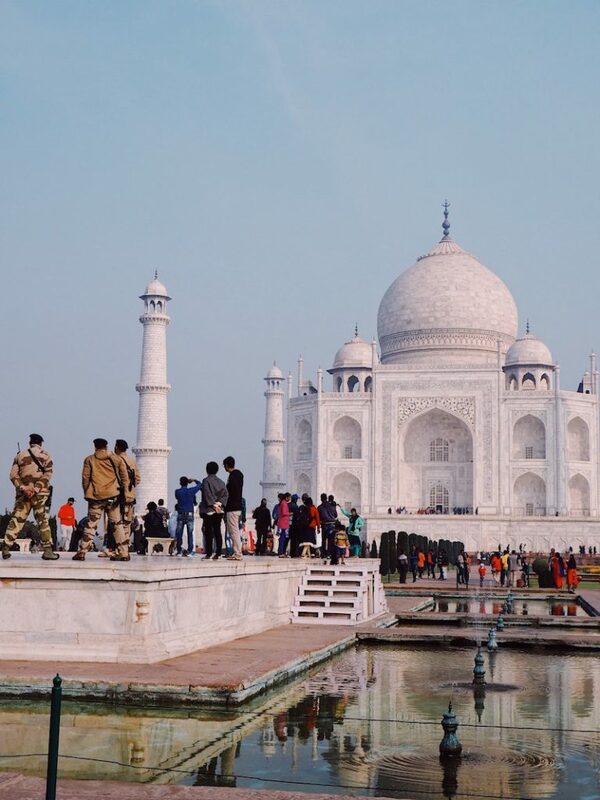 I had a tourism ministry approved guide and when I asked about hiring a boat to take a shot of the Taj from the river I was told it was illegal to do so. There are no boats for hire in the Yamuna, for security reasons, so I guess they just found a local willing to take a risk? !